Or should I say my long term top 5, cos let’s face it, you never know who, I mean what is around the corner… I’m sure there’s some gems out there I haven’t tried yet. Now choosing just five is tough, if I’m realistic it’s more like 55, but the following are firmly inducted in my beauty hall of fame…. “It’s all about the eyebrows!” Fast becoming my catch phrase because I Love, Love, LOVE eyebrows. This Givenchy pencil has saved my life after my beloved Clinique one was discontinued. I searched for a replacement, testing and buying almost every brow pencil in existence – No7, YSL, Benefit, Rimmel, Lancôme, Mac. It’s been a long and expensive process. You see, I like a good old fashioned pencil, I’m not a fan of these sudo, automatic non-pencil pencils that have popped up everywhere. I don’t like ones that are too creamy, but I do like ones that have a brush on the end. Finally I’ve found the right shade and texture with Givenchy. Just as well since I’ve been going through the painsaking process of growing my eye brows out. As a teenager I fell victim to over-tweezing (something I could wax lyrical about and is best left for another post). It’s great for filling in the gaps. The powdery texture looks very natural and last all day, plus the brush on the end is great for sculpting. This needs little introduction. 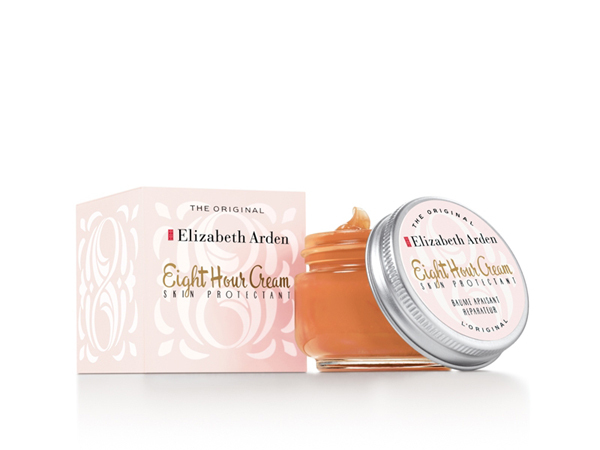 The cult classic, developed by Ms Arden herself over 70 years ago, has really stood the test of time. If I was stuck on a desert island, this is all I’d need (this and some food, water and wine). It really is a wonder product. This skincare classic helps to soothe, restore, soften and protect dry or mildly irritated skin. It has so many uses… I apply it to eye brows at night to help hold them in place, it’s fantastic on dry lips and can be dabbed onto cheek and brow bones as a highlighter. I have one in my bedside table and one in my handbag so I’m never without – it lasts and last and lasts too! 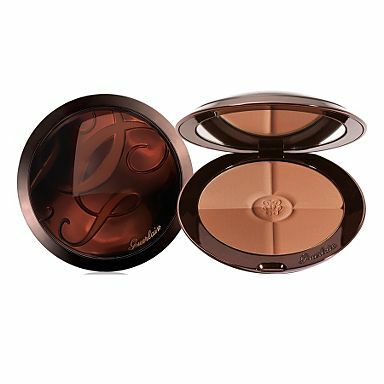 When it comes to bronzers, I’ve played the field a little, but with Guerlain Four Season Bronzing Powder I’ve found my match. The caramel hues are so far away from the orange shades we’re used to. It’s very strongly pigmented so a little goes a long way and the finely milled powder applies like a dream, so smooth and flawless. There’s no glitter or sparkle, yet it’s not too matte, more of a satin finish I’d say. What makes it one of my all time favourites is that the four shades take you through the year, no need to change to a lighter one in the winter or darker in the summer; it’s like a customisable palette. 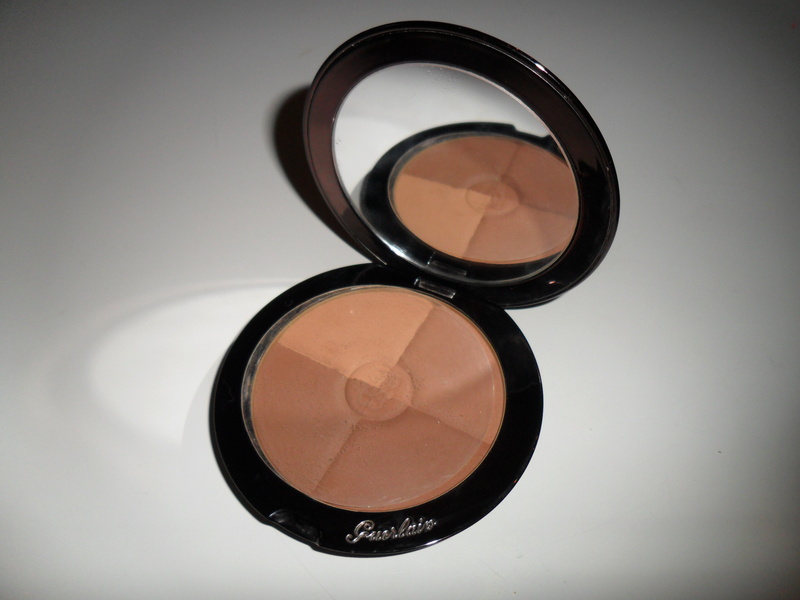 Great for contouring and the lighter shade can be used as a touch up powder. Read full review here. Another that needs little introduction. 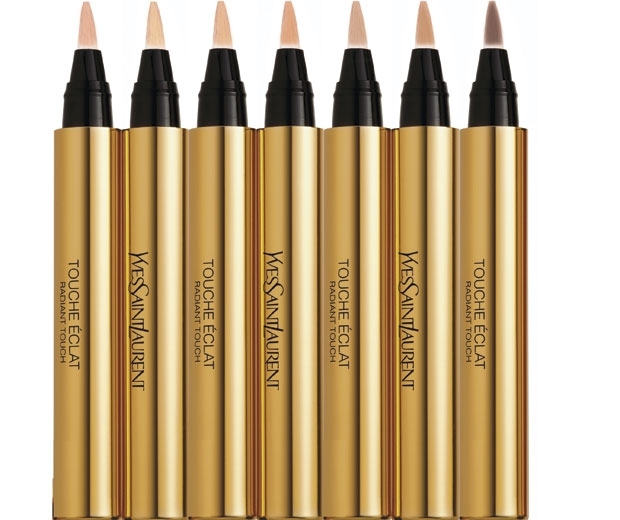 For years YSL’s iconic Touche Eclat has been the go-to concealer for millions of women around the World. 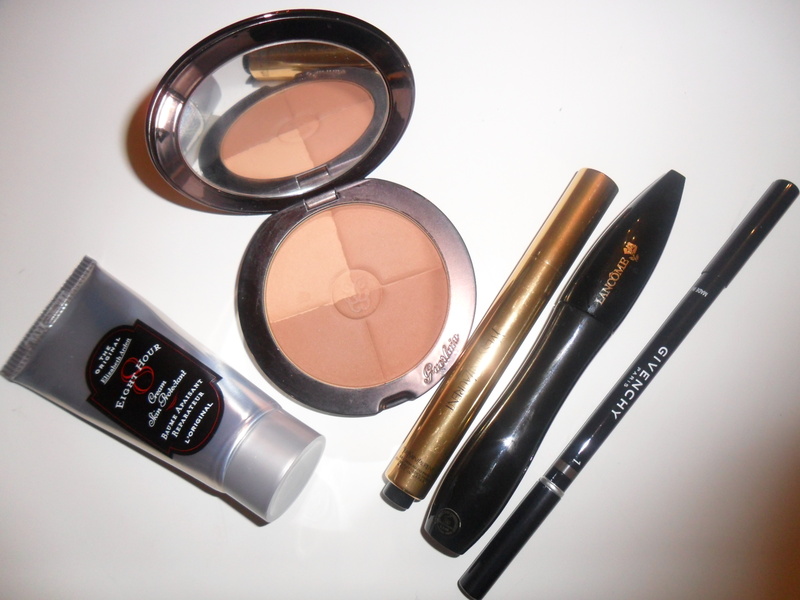 Another multi use product – it’s a highlighter, a concealer, a touch up pen. There are lots of competitors in that market, but for me it’s still unrivalled. A sold member of my beauty hall of fame; there’s a reason that one pen is sold every 10 seconds! I have been using Lancôme’s mascaras since I was 13. From Defincils, Amplicils, Hypnose and Hypnose drama, it seemed each offering got better and better. From time to time my eye has wondered (with Benefit Bad Gal, Clinique’s High Impact and Diorshow), but I always return to my faithful Hypnose. For me, the key is in the brush – it’s just the right size, not too clumpy and no other mascara creates volume like it. 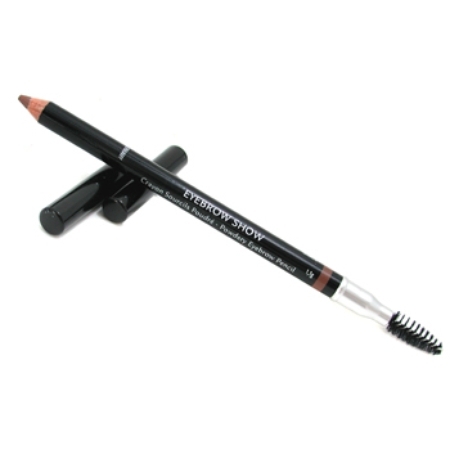 It can be layered for maximum impact, doesn’t smudge or clump and lasts all day. I prefer the standard Hypnose but Hypnose Drama is pretty good too. 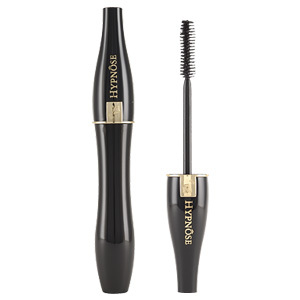 It also has the royal seal of approval – believed to be Kate Middleton’s wedding mascara of choice. So that’s my top 5, what’s yours? It’s back to reality with a thump this week. The Royal Wedding’s over, Easter’s over, the endless run of bank holidays are over and we’re back to the 9-5 grind – Booo! Before we slip into another Blue Monday, hatch a plan to cheer yourself up… WARNING, it could cost you money. I’ve painted mine shocking pink today and I must admit, every time I look down at my hands I feel quite proud of my bright finger nails and they’ve caught many an admiring glance. I’m wearing No7 Foxglove – two coats with a base and top coat. Especially important if you also happen to be having a fat day. Something like a bronzer or a bright lipstick should do the job. 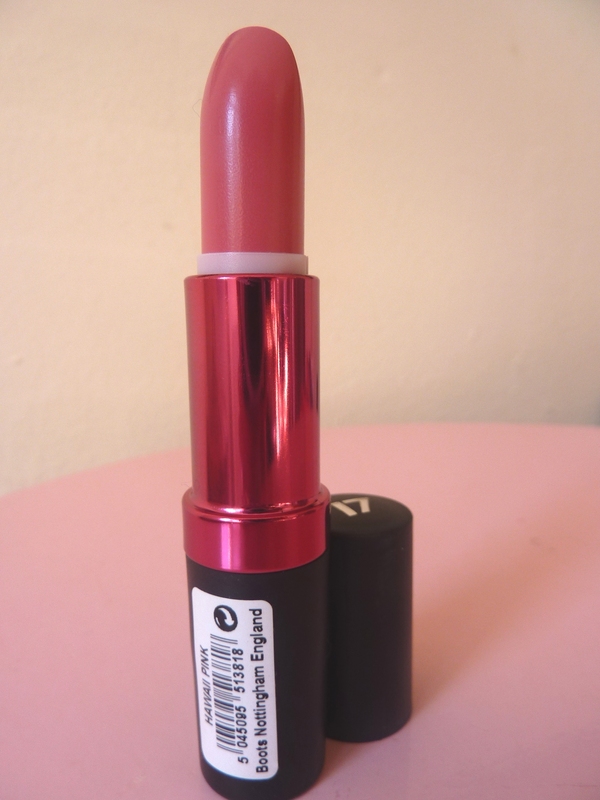 I just purchased a gorgeous 17 Lasting Fix Lipstick in Hawaii Pink £4.79. Perfect for that LIP N GO look. There are few things I love more than make up, but the Sun I worship. So when it’s shining I can’t afford to waste vital tanning time applying a face full of make up, nor would I want to. However I still want to look summery and fresh, so I slapped on some bright lipstick with some concealer and a touch of mascara and I’m good to go. 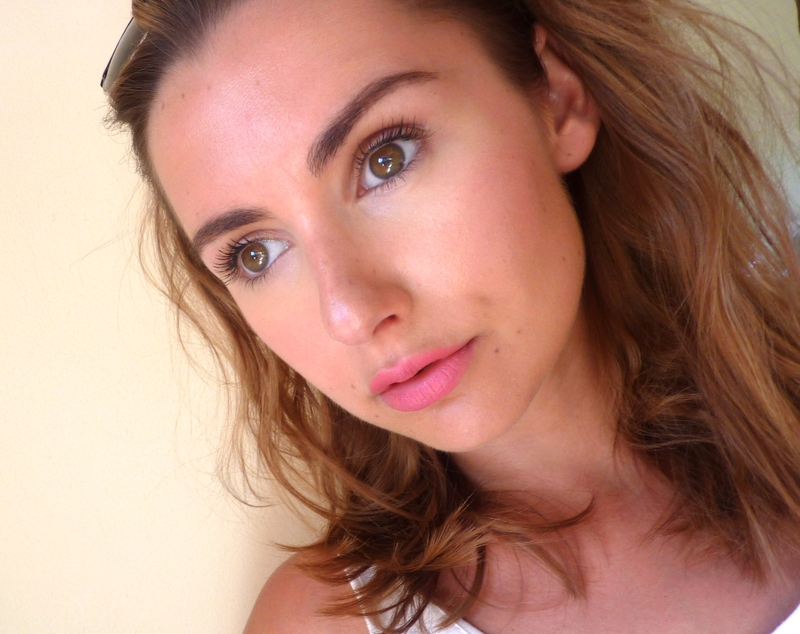 I’m wearing the lipstick, L’Oreal Touche Magique Concealer and a light coating of Clinique’s high impact mascara. A new bronzer is also a good idea. In the summer months you can normally afford to go up a shade. I love the look of Urban Decay’s new Bronzing Powder £20 and my much loved Guerlain Terracota Four Seasons Bronzer needs a little break – at £46 it’s not for daily use. Most of us look, and feel better with a summer glow. I’m all for safe sunning, but it can be a slow process and it doesn’t hurt to give yourself a head start – especially your legs! It’s pretty scary unveiling those white, spikey, scaly tree trunks at the start of the summer months, but it’s amazing what a shave and a hint of colour can do. San Tropez, still an eternal classic, is a great false tan, but can be messy and stains your clothes. I reserve it for events – weddings, holidays etc. 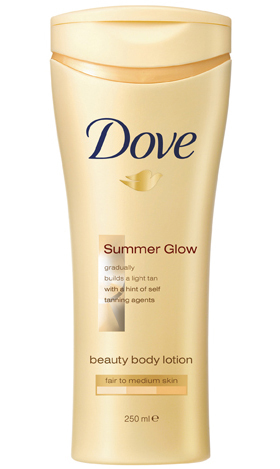 For frequent use, I prefer everyday tanning lotions like Dove’s Summer Glow Body Lotion. Slap it on after your shower, wait a few minutes to dry and you’re good to go. Follow these steps (or some of your own mini pick me ups) and voile, a whole new you. And if that doesn’t work, there’s another bank holiday in three weeks. I wonder how poor Kate Middleton’s feeling a week on– the fairy tale wedding is over, her new hubby’s back at work and she’s holed up at home… except home is a palace so boo hoo. 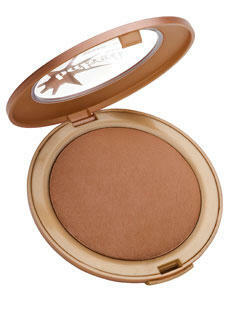 Rid your winter complexion and step into Spring with the award winning Guerlain Terracotta Four Seasons Bronzer. If like me you’ve contemplated buying this bronzer, but were put off by the price tag, I’m here to tell you it’s worth it, and so are you! 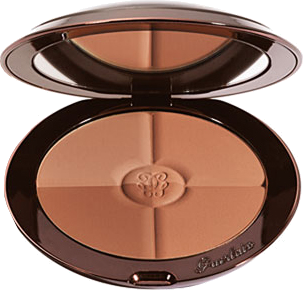 For the first time ever Terracotta from Guerlain, the hero of bronzers, give us not one but four bronzing powders. I delayed buying this product; for £45 I thought to myself, I can buy two bronzers and have some change! So I bought a Bobbi Brown Bronzing Powder, which was too sparkly, then the Nars Laguna Bronzer, which cracked and crumbled within weeks. They say if you buy cheap, you buy twice – I sure learnt that the hard way…. Not that Blobbi Brown and Nars are cheap, but there’s a reason Gerlain’s Terracotta has such a cult following. My first impression is that it’s a very substantial product. The compact is quite heavy and the powder sufficiently packed in, no danger of this one crumbling. It also comes with an instructions leaflet and a suede pouch…. although for £45 it should come with some suede shoes. Available in two colour ways – Blonde and Brunette (this one is the Brunette version). The colour is amazingly intense. The caramel hues are so far away from the orange shades we’re used to. It’s very strongly pigmented so a little goes a long way. The finely milled powder applies like a dream, so smooth and flawless. There’s no glitter or sparkle, yet it’s not too matte, more of a satin finish I’d say. Furthermore, the 4 powders allow you to easily create the colour that suits your complexion and the season. 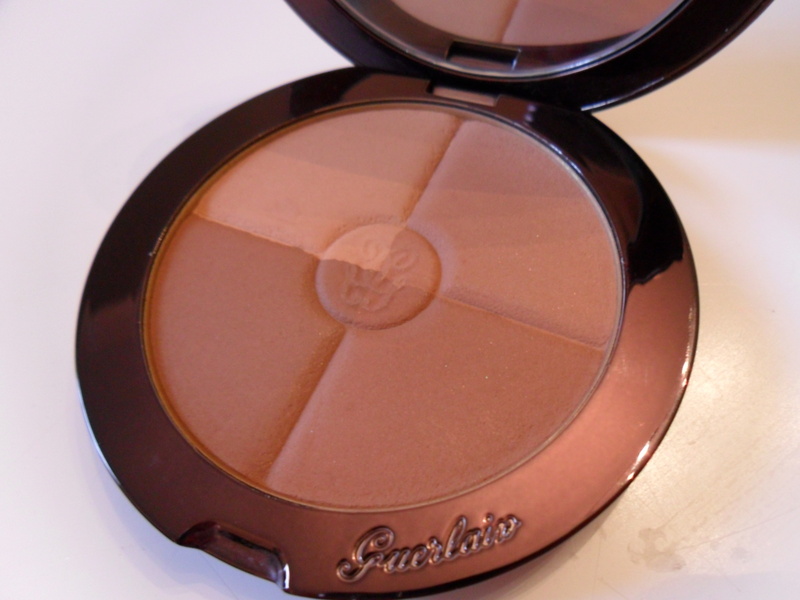 This product is an instant lift – I looked sunkissed every time I use it. Yes it’s pricey, but I’ve been using this one for 6 months now and it’s barely gone down. Go on ladies, treat yourself… you won’t be disappointed!